Half priced Pluckers Club memberships! 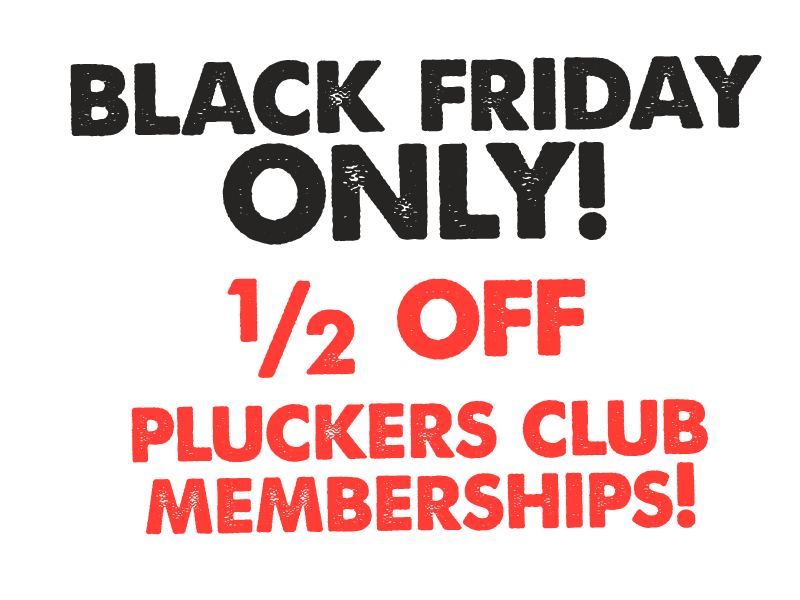 This Black Friday is your chance to upgrade from Pluckers Club Lite or join the Pluckers Club for the first time! 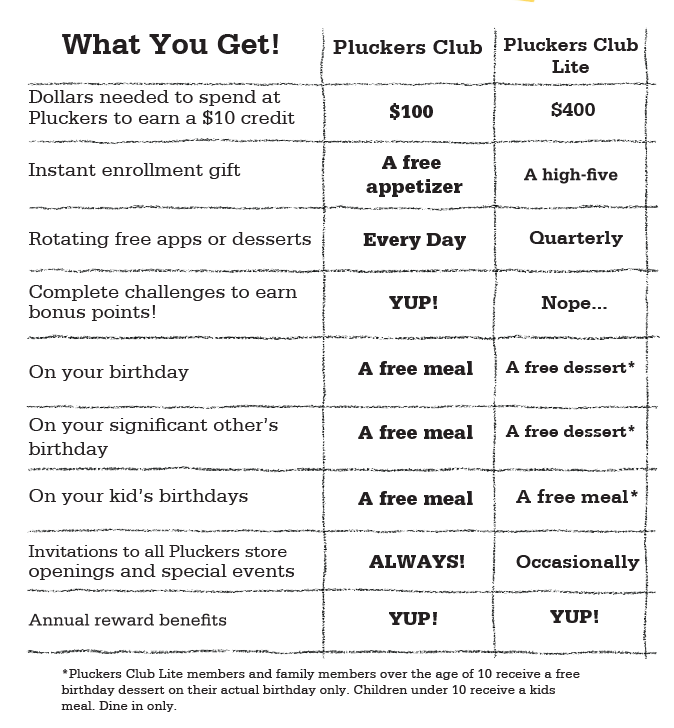 Pluckers Club memberships are now half-price for $10! Want to know what you get for your membership? Check out the chart below.